Today is the first year our family will celebrate Valentine’s Day food allergy friendly. 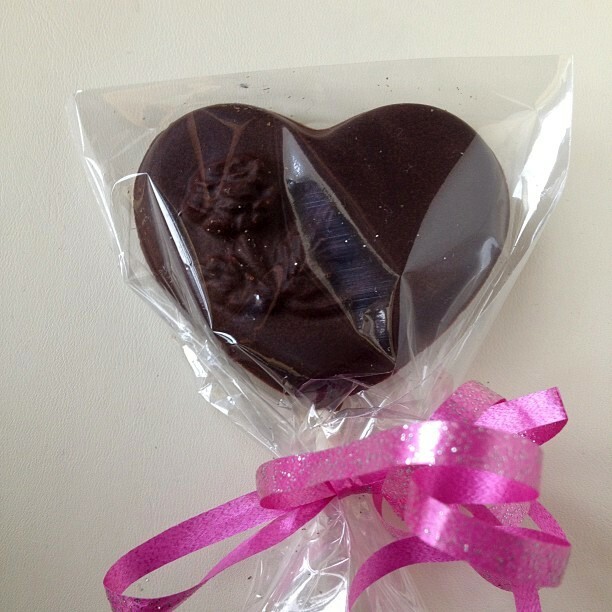 For years, receiving heart or flower shaped chocolates is something my children looks forward to every February 14th. Not wanting to break the tradition, I started looking for local New Jersey bakeries or dessert places that might have gluten, dairy, egg, nut and soy free treats. Guess what? It was indeed challenging to find one. 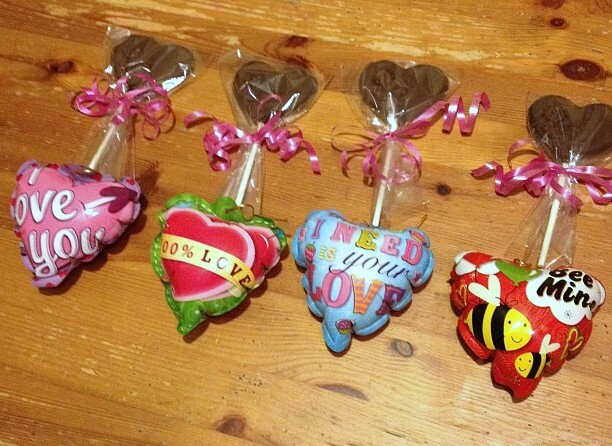 Since I don’t want to feel defeated, I decided to bring out that heart lollipop mold (yes, I used to collect those) and melted some Enjoy Life Semi Sweet Chocolates using a homemade double boiler. Well, it’s just a fancy way of melting the chocolate on a glass bowl on top of a pot of simmer hot water. Once the chocolates are liquid, transfer it to plastic molds and let it cool. I have noticed that the allergy friendly chocolates take longer to set. I have to put it in the freezer for at least 2 to 3 hours for the treats to unmold with ease. This morning, the kids woke up with a nice surprise waiting for them. 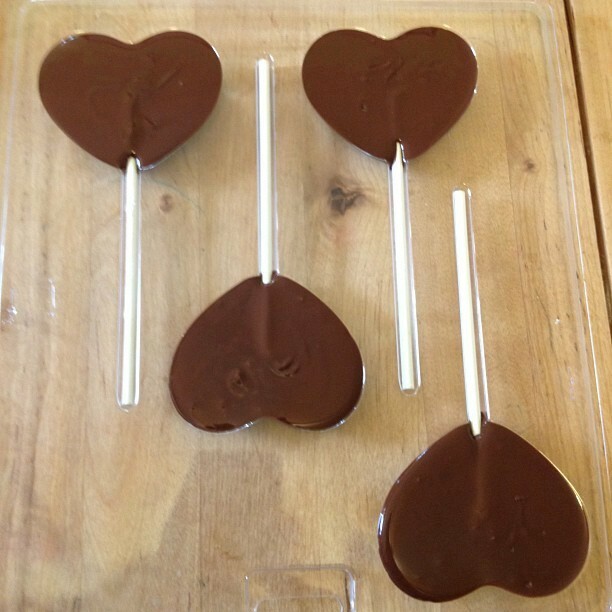 Chocolate heart lollipops paired with exploding heart balloons from the dollar store. It’s not a matter of what they can’t have. It’s a matter of what they CAN have. May your day be filled with love. Happy Valentine’s Day!